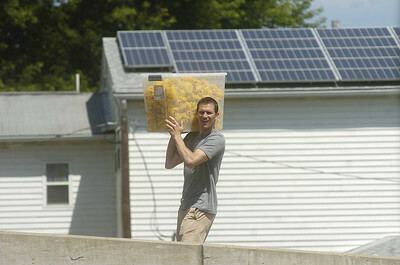 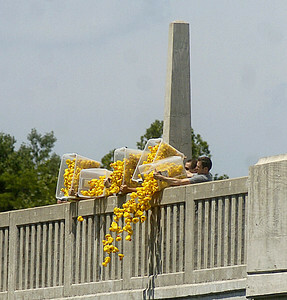 Toy ducks are dumped over the Nurse Fairchild Memorial Bridge in Watsontown for Sunday's duck derby. 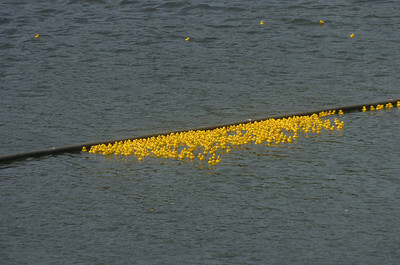 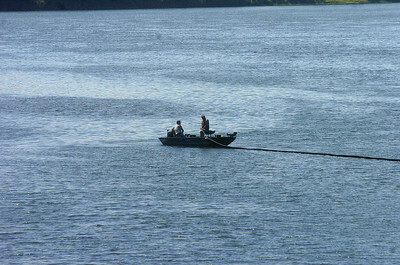 Toy ducks float down the Susquehanna River on Sunday for the Watsontown Duck Derby. 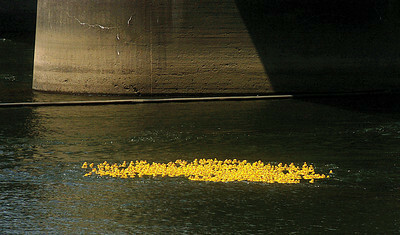 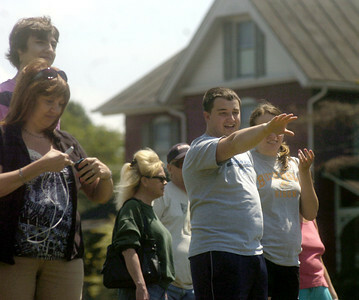 Mindy Dull, of DJD Fight On Foundation, takes pictures during the Duck Derby in Watson on Sunday. 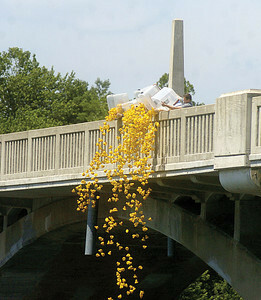 Proceeds from the Duck Derby went to the foundation.